Chop,I think your low. It is now spring and coupes are holding their price pretty well, altough still depreciating . I would say 22 to 27 would be the range. Thanks WM, I know my prices may seem low to some but it was the mileage that influenced my prices. That and I always have the mindset that if you want to sell a car, then price it to sell. YMMV. Found this on Hemmings, of the 16 listings 10 of them are coupes. GXP, Manual, Silver, 7,726 Miles, Price? Last edited by ChopTop; 04-11-2019 at 06:19 PM. 1 of an estimated 110 Solstice GXP Coupes produced with a manual transmission .I thought there was more than that or is it referring to the ones produced in that color that were manual GXP'S. Just wondering. No, the seller is just wrong. There were 281 coupes with manual trans. And there were 41 silver GXP coupes with manual trans. Last edited by wspohn; 04-11-2019 at 09:06 AM. Thanks Bill thats what i thought to that the seller was wrong. Sting Ya, ChopTop and easyryderca like this. I knew that you'd show up sooner or later Dave - that's why I went back and looked up the correct number and corrected my post. Having approximate numbers out there just increases chances of incorrect ads from people that just grab the first thing Google hands them to stick in their ad. WickedMike, Sting Ya, easyryderca and 1 others like this. I agree, but I couldn't remember the numbers so I went back to my original spreadsheet and sorted it appropriately and pulled out the numbers from scratch. I know that his number was wrong, but I couldn't remember how much wrong. Last edited by sirwm; 04-11-2019 at 02:39 PM. 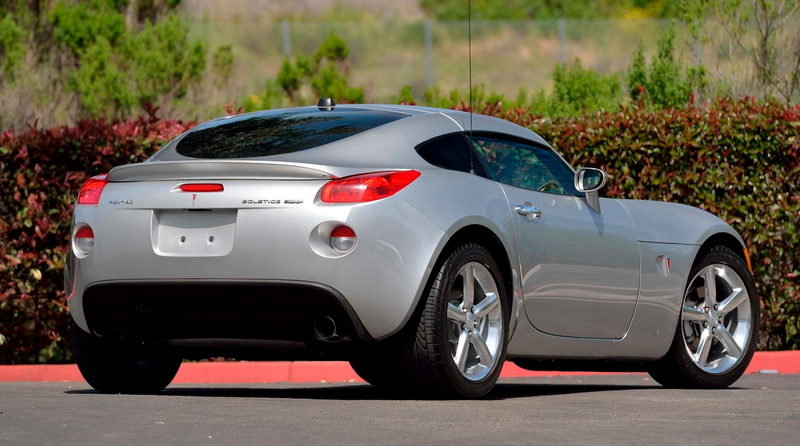 Do I sound biased when I say...no manufacturer has produced a two seat sports car in coupe form as beautiful as the Pontiac Solstice coupe??? I have to believe that there will be a time when the coupes will be considered very special vehicles by the automotive world. Northern Sol, Sting Ya, easyryderca and 1 others like this. I kinda of agree, even if I know I'm biased, but the real question is will we be alive to see it. At 63, I'll probably be druling all over myself before it happens. And the druel will not be over cars but loss of control. It cracks me up how we all look at these cars so differently. I remember when Pontiac was going belly up a local dealer had two convertibles and a coupe. I looked at the coupe and thought, "pretty cool looking car but why would anyone want a coupe when they can have a convertible, especially when the convertible looks so much better top up or down." I guess beauty really is in the eye of the beholder. Do I sound biased when I say...no manufacturer has produced a two seat sports car in coupe form as beautiful as the Pontiac Solstice coupe??? I love the coupes and am jealous of those that have one, but I think some owners of E-type Jags, C2 Corvettes and Ferrari GTOs (among others) may take exception to your comment. Actually, I'm pretty sure the owner of a Ferrari GTO doesn't really care about anyone else's opinions of automotive beauty.